The rate at which young Nigerians have gotten involved in global terrorism has escalated, this has again been underscored by the sentencing of a 35-year-old Lawal Babafemi to 22 years’ imprisonment in the United States for aiding an affiliate of Al-Qaeda in Yemeni. Babafemi, sentenced on Wednesday by a US District Judge, John Gleeson, in Brooklyn, was accused of receiving weapons training from Al-Qaeda and writing rap lyrics for the terrorist organisation. He had pleaded guilty, in April 2014, to providing material support to a designated foreign terrorist organisation, Al-Qaeda, in the Arabian Peninsula. He said he whipped up enthusiasm for the terror outfit in his native land and lobbyied Muslims to join its Yemeni branch. He collected $9,000 from the late Al-Qaeda leader Anwar al-Awlaki to recruit for Al-Qaeda on his behalf, prosecutors said. 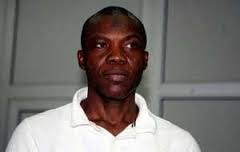 But in appealing for leniency, Babafemi told the court on Wednesday that the two years he had spent in American prisons had cleansed him of Jihadi impulses and that he had renounced religious violence completely. “I’m extremely sorry for anything I have done against the United States. I want to say that I denounce Al-Qaeda and their activities,” he said. His attorney, Lisa Hoyes, noted that Babafemi grew up in grinding poverty and that he was brutally tortured by Nigerian officials before his extradition to the US. She also cited his emphatic rejection of Al-Qaeda’s ideology and pointed to a sparkling record of behaviour while in prison. “He’s learned that Americans are people like him,” she said in asking for a sentence of 15 years, well below federal sentencing guidelines. But federal prosecutor Zainab Ahmad rejected his claims of ideological rehabilitation and said he was simply trying to shave time off of his sentence. She noted that Babafemi willfully made the “perilous” trek from Nigeria to Yemen in order to pursue his al Qaeda dreams. Prosecutors had sought up to 30 years’ imprisonment for Babafemi, who was extradited from Nigeria in 2013 after being arrested several times two years earlier on local terrorism charges. Al-Qaeda is an organisation of Islamic militants that has declared “holy war” on Americans, Jews and their allies. Meet Floyd Mayweather's Latest Beau, Arghhhhh!!!! Guess Why This Father Is Angry? Tithe!!! Seka Yapo, Ex-Bodyguard To Simone Gbagbo,Jailed!